The actors who play Once Upon A Time's "Prince Charming" and Snow White have long given fans a lot to "oooh" and "awww" about since they began their off-screen relationship pretty much the second the show started. Since then they've continued to canoodle adorably. 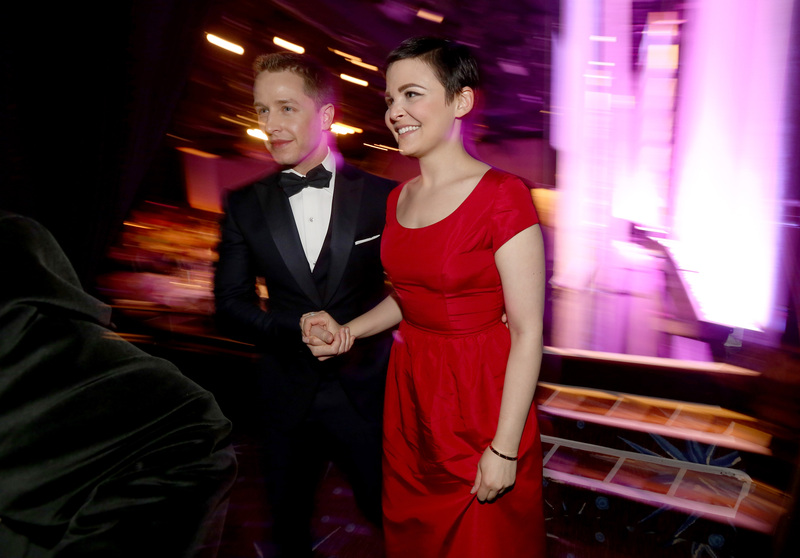 Now, as of this weekend, Ginnifer Goodwin and Josh Dallas are married. Goodwin, 35, and Dallas, 32, are also expecting their first child — a plot that's been written into their show, though for their onscreen characters it's the second kid in the relationship. They've been engaged since October, and the wedding took place Saturday, April 12. There's no news on a lot of the details of the ceremony, guests, etc., although it was reportedly relatively small. E! also writes that "everyone enjoyed a cocktail reception with a Spanish guitar player in a courtyard with cactuses and stone pathways," making it sound like some Southwestern fairytale, which seems fitting. "It hit me like a blinding light," Dallas told People of their meeting. "I thought, 'I'm in trouble now.'" He followed it up with an "[I] would like to think she felt exactly the same way."